The Achiever Programme is an online course that teaches you how to develop good habits, refine the way you work and create a balance in your life. Essentially your own personal life coach, this program is completely free and allows you to work at your own pace without any external pressures. It’s perfect for anyone who wants to grow, learn how to think for themselves and develop new insights in a study or work environment. It’s never too early to prepare yourself for the working world and the tips, techniques and advice that the Achiever Programme offers all encourages you to step out of your comfort zone and confront challenges head on. Part of why the Achiever Programme is so successful is because it plays to your strengths and lets you develop your skills in a positive way. It helps identify the areas of your life that need to be managed and lets you put down on paper what time wasters and other obstacles are stopping your progress. Often seeing something in black and white affirms what you already knew but were afraid to admit, and this is why the programme gets great results as you’ll find that by acknowledging challenges you can stand up to them better. As this programme is a self-study you can also choose how to use it to your advantage and figure out a system that suits you best. The course outlines several renowned principles that will help you live a life of value and it’s up to you to select the one that best suits your life philosophy. This programme’s success is based on you wanting to unlock your potential and the principles outlined will all speak to different people in different ways. If you want on stay on track and follow in the footsteps of entrepreneurs, academics and businessmen who have created successful habits, then the Achiever Programme is the ideal online self-study. You can apply the discussed principles to your life in a way that best suits you, and you’ll learn techniques that will serve you well in the future. 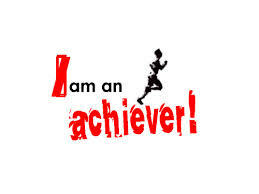 Let the Achiever Programme work for you and sign up for this free online course today.